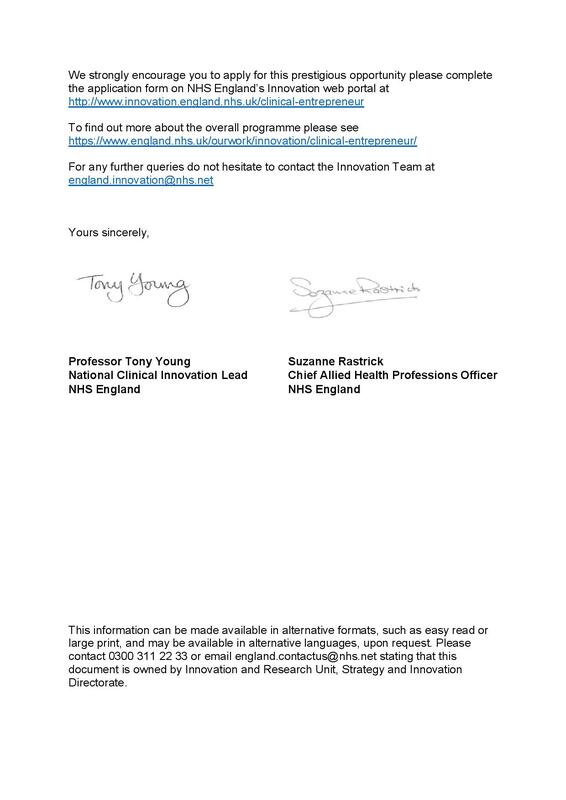 Please find the attached letter from Suzanne Rastrick, Chief Allied Health Professions Officer and Tony Young, National Clinical Lead for Innovation in regards to the NHS Clinical Entrepreneur Programme which is now opening to Allied Health professionals on the 5th March 2018. This is the world’s first national level training scheme for clinical entrepreneurs and will enable the NHS to deliver on the promise of the revolution in genomics, advanced technology, data analytics and social networks currently transforming modern life. 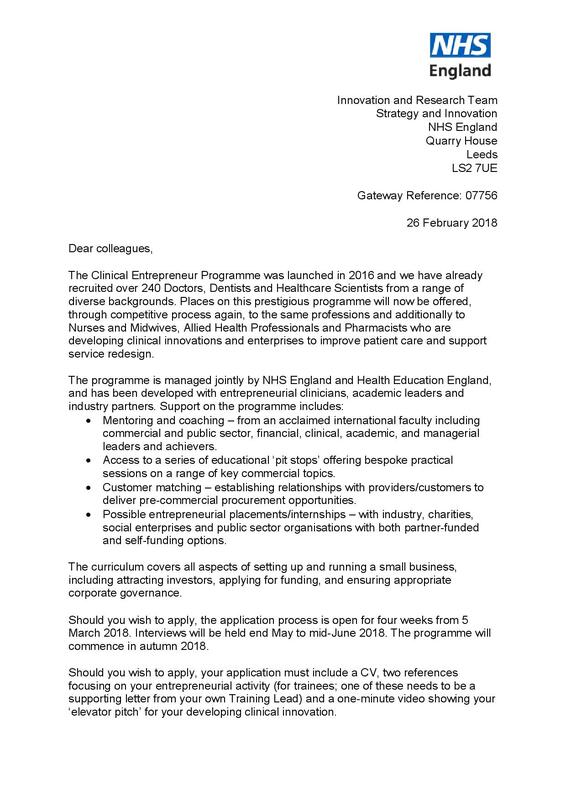 Suzanne Rastrick has commented “This is a wonderful opportunity for Allied Health professionals(AHPs) to engage with the world leading Clinical Entrepreneur Programme. We are delighted the programme has been rolled out to include the third largest workforce in health and care services. We would encourage you to apply. Below are details of webinars taking place to help you with your application and explain the programme in more detail with Q&A sessions.